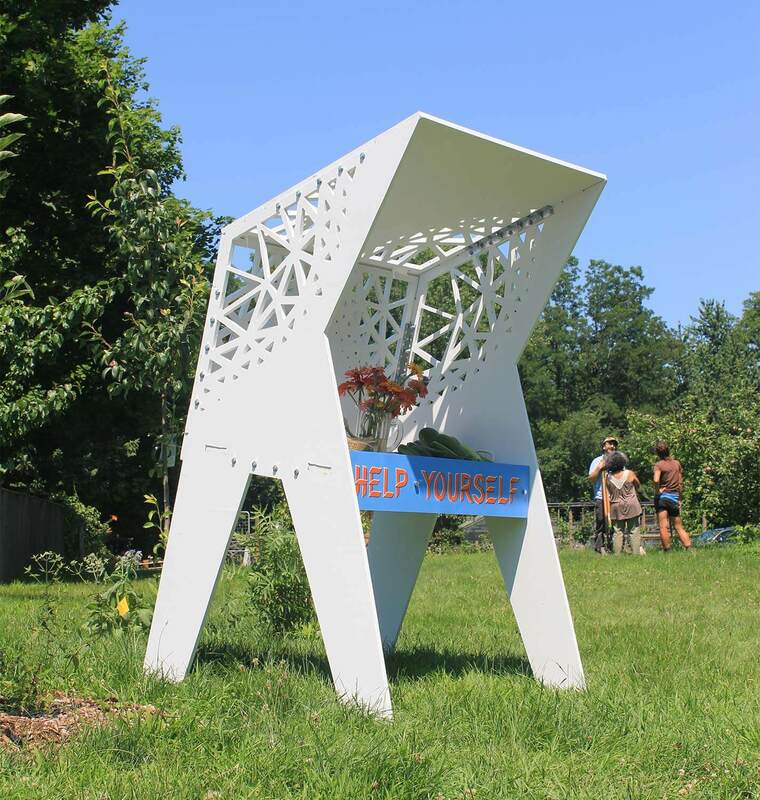 The Help Yourself Farm Stand is an open source, cnc-fabricated kiosk for promoting food justice. 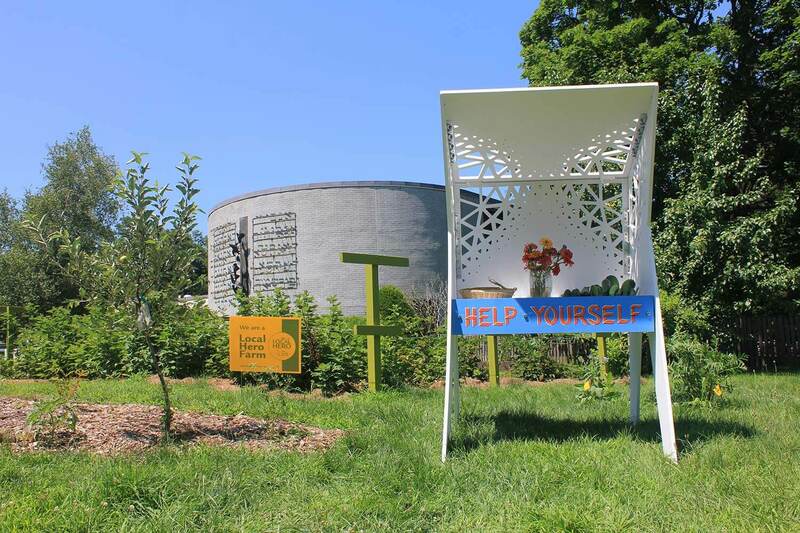 The kiosk was designed as a highly visual and publicly deployed outreach component that provides signage and introduces visitors to Abundance Farm, a one-acre food justice farm and outdoor classroom, while inviting the public to share in the farm’s harvest. 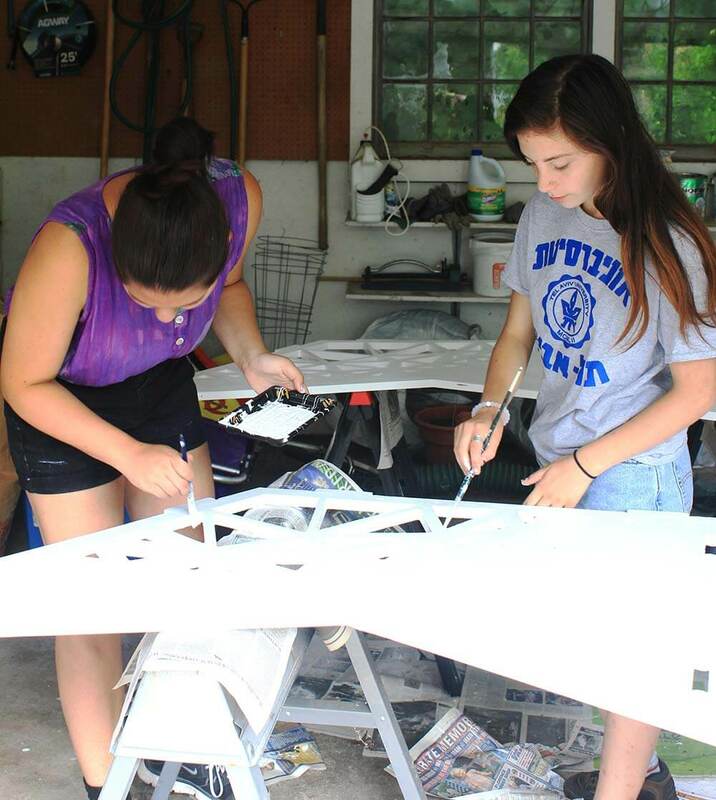 The Help Yourself Farm Stand design explores the biblical Jewish concept of Pe’ah, which required farmers to leave the corners of their fields unharvested so that those who are hungry could pick with dignity. 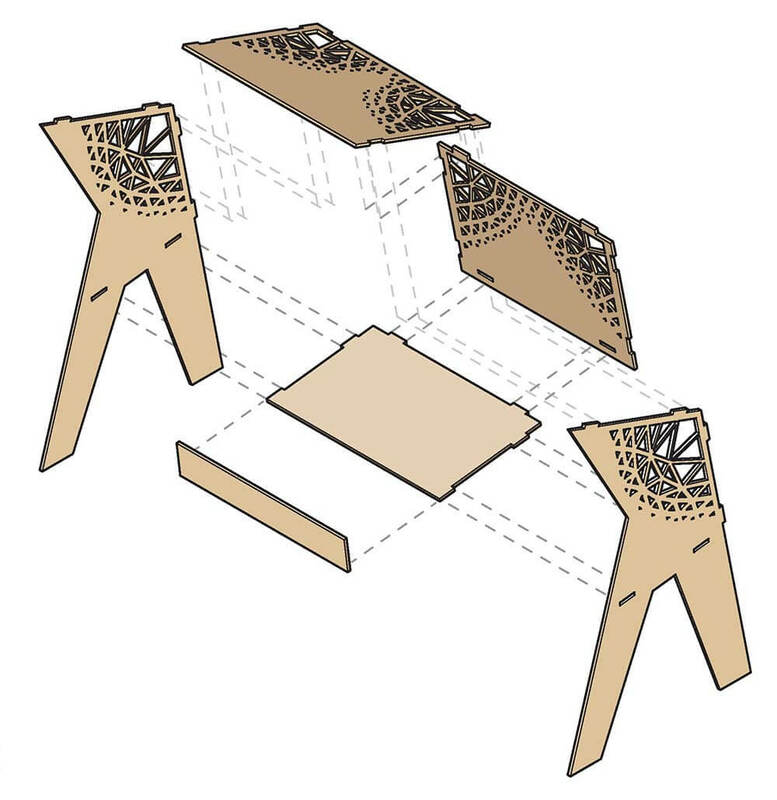 The design dematerializes the corners of the kiosk, further inviting those outside to “come in” and to help themselves to the fresh produce supplied daily in season. 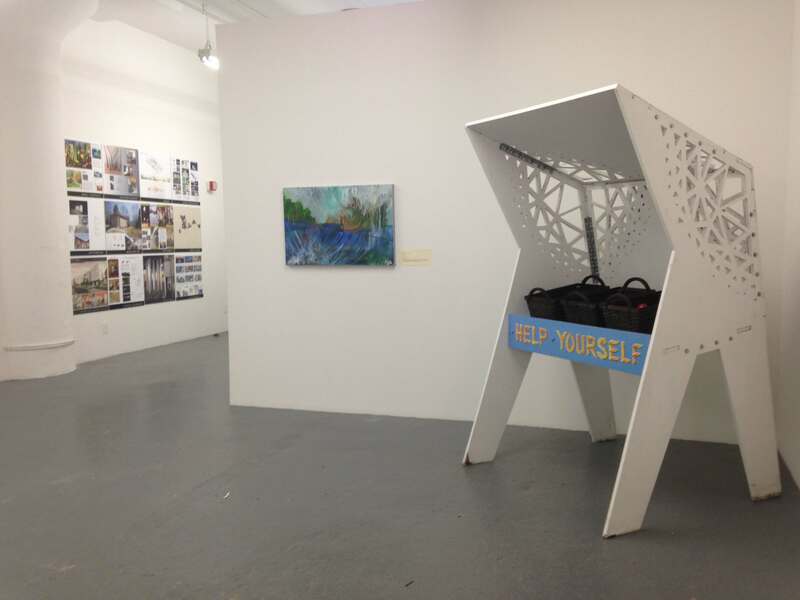 As an artifact, the kiosk asks us to consider how design might make visible underlying ethics and attitudes.